The National Collegiate Emergency Medical Services Foundation's (NCEMSF) purpose is to support, promote, and advocate for emergency medical services (EMS) on college and university campuses. The Foundation is committed to the advancement of existing response groups and assisting in the development of new response groups. The Foundation provides a forum for the exchange of ideas of campus-based emergency response issues. To these ends, the Foundation is committed to scholarship, research and consultancy activities and to creating safer and healthier environments on college and university campuses. In the early 1990s, with the widespread use of computers linked via the precursor to the Internet, e-mail communication among campus emergency responders was commonplace. For readers of the emergency services Usenet group (misc.emerg-services) and its related e-mail list (EMERG-L), there was occasionally a thread about campus-related EMS. But frequently, discussions on the topic of campus EMS were shunned as inappropriate or obscure. As a result, the campus EMS groups that existed were isolated since there was no good forum where they could openly communicate with each other. 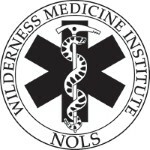 In 1993, in response to a need for information exchange among campus EMS groups, the National Collegiate EMS Foundation (NCEMSF) was established. A loosely associated nationwide group of campus responders was formally brought together by Jon Diorio of Georgetown University (Washington, DC) and others. Filling a niche, NCEMSF quickly grew. In April 1994, NCEMSF held its first conference at Georgetown University. Representatives from over twenty campus EMS organizations spent the weekend of April 8-10 learning about EMS and networking with each other.